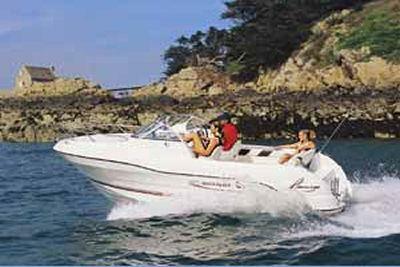 Boat Description The biggest model of the range, the 620 Flamingo, is a very spacious boat that will take you out on the water on a sunny afternoon or an overnight cruise. The 620 is powered by our Mercury MerCruiser 3.0L Alpha sterndrive. The boat will carry up to 6 people and features copious storage to keep the cockpit clear of clutter. The aft bench seat converts to a vast sunpad and there is a comfortable V-berth inside.